I have a couple four bag units, one with canisters on top and one with bags on top. The difference in performance is notable. As such, I think you’re going to like how this works for you. 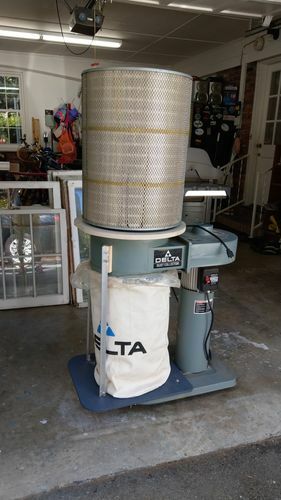 I sold mine a few months ago with the canister filter and the Oneida Supper Dust Deputy, I think I got $250.00 for it. I upgraded to the Laguna C Flux, My DC concerns are no longer.